I run a practice in Reiki and Reflexology where you can help your sleep patterns, promote relaxation and increase your health. ​Contact me for my one on one or family counselling services. For all these services Just visit my website and make an appointment. Determine your ring size by using a ring that already fits you or the person you will be giving the ring to. Place this ring over the nearest size circle below. The inner edge of the ring should align with the outer edge of the circle. If the ring seems to fit between two sizes, then opt for the larger size. 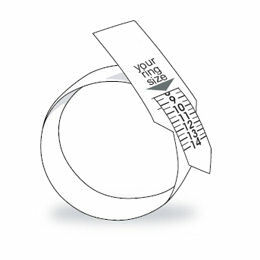 You can create your own ring sizer to determine what size ring you should be buying. Simply print* and cut out the strip below. Insert the narrow end of the sizer through the "cut here" slot. Place the loop around your finger, with the numbers facing the outside, then pull until the fit is snug but comfortable. 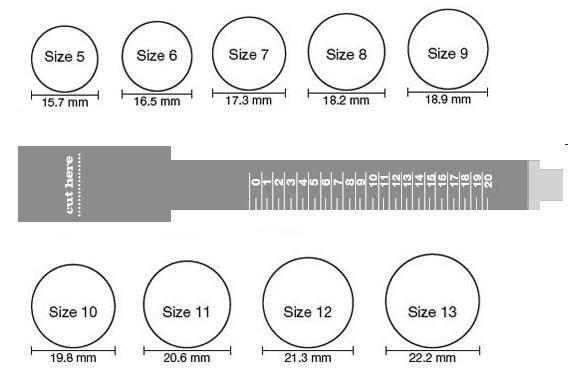 *Please make sure when printing this page, on the print pop-up box you set “Scale to paper size” to “No scaling or 1 to 1.” Keep in mind that these techniques above are not always accurate and the best way to measure the required ring size is at your local Jeweller (You could say that you are receiving a ring as a gift).